George Samuel Batten was born in Preston Plucknett in 1885, the son of agricultural labourer John Henry Coles Batten (1850-1903) originally from Whitestaunton and Temperance née Spiller (b 1856) originally from Yarcombe, Devon. In the 1891 census John and Temperance were living at Wyke Farm, Sherborne, Dorset, with their children; Henry (b1876), Thomas (b 1879), Patience (b 1883), 6-year old George, Hedley (b 1887) and Ellen (b 1890). George's father died in 1903 and in the 1911 census George was living with his mother at Bailey Bridge, Sherborne. George listed his occupation as a horseman on a farm. 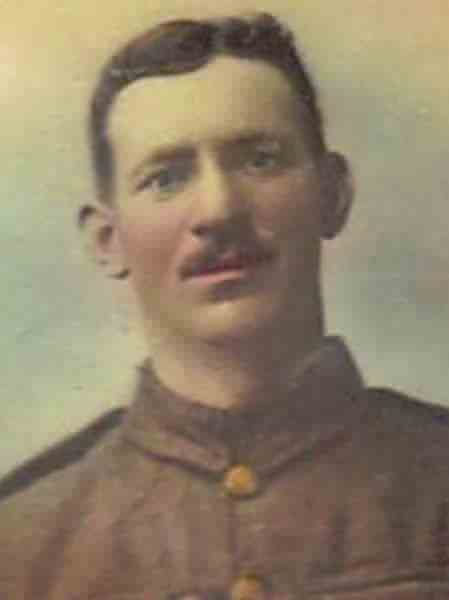 George enlisted at Sherborne, most likely on the outbreak of war in 1914. He joined the 5th (Service) Battalion, Dorsetshire Regiment (Service No 10892) but was quickly promoted to the rank of Corporal. The 5th Battalion had been raised in Dorchester in August 1914. Formed entirely of Kitchener Volunteers from the county, the 5th Battalion left England on 3 July 1915 aboard the 'Aquitania', as a part of the 11th Division, sailing to Lemnos. Here they became acclimatised to the conditions by digging wells for the growing force and making roads. However, a virulent stomach bug laid many low and was a portent of things to come in the Suvla trenches. 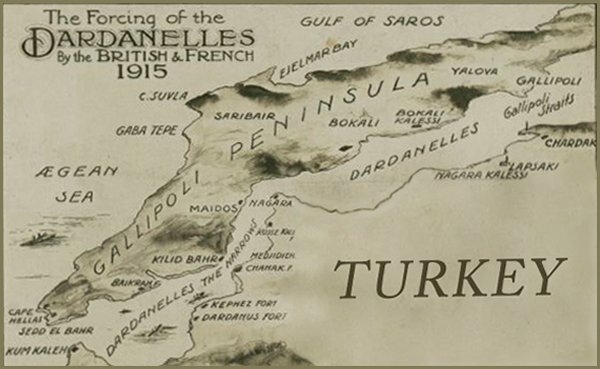 The 5th Dorsets were to land at Suvla Bay, Gallipoli Peninsula, on 6/7 August 1915, under cover of a moonless night, as 34th Brigade's second wave. However, the plan miscarried when the leading landing craft headed too far south and ran aground shoals. With Turkish troops alerted, the delays and the inexperienced British Brigades unable to find their objective at Hill 10 in the pitch black, there was paralysis. The Dorsets later commented on the performance of their Brigade Headquarters "From the first things that had gone wrong, the misfortune which had attended the landing of the landing.... and had led to.... everything being thrown out of gear; where resolute handling and vigour were urgently needed, resolution and initiative had been conspicuously lacking." It wasn't until dawn that 5th Dorsets landed and the Battalion headed north to mount a flanking attack on Hill 10 that was now only too obvious from the flashes of Turkish gunfire. 'A' Company gave covering fire from the dunes, while the remainder of the Battalion pressed forward up the gentle slopes of the hill in short well rehearsed rushes. The Turkish battalion fled and at 0600 hours, Hill 10, which should have been captured by another unit hours earlier, was in the hands of the Dorsets. The Turks withdrew and the Dorsets followed. After a sharp firefight, Hill 28, a mile across the Suvla Plain, was captured when the Turks 'lacking the stomach for a close quarter bayonet fight' again withdrew in the face of 5th Dorset's seemingly relentless advance. Casualties had been relatively light but to advance further would have isolated the Battalion, as other units were still well behind the Dorsets. Unfortunately, there was no water on Hill 28 and the men spent the day sweltering in the sun and without information or orders, the Commanding Officer went back to find the Brigadier at the beach. Meanwhile, patrols were dispatched into the gullies leading down from the ridge to the left, while half the Battalion provided flank support to a chaotic attack mounted by the rest of their Division on the Chocolate Hill area. Overall, the Suvla landing had fallen well below expectation but 5th Dorsets had done all that had been asked of them and more. The verdict of the day was ".... when energy and determination might have retrieved the situation, inactivity and depression had prevailed in Brigade Headquarters.... and much that might have been secured had been left untaken." The following day the force re-organised units, which were badly mixed up, before renewing the attack on 9th August. This time the Dorsets were to advance across the broken gullies of the Kiretch Tepe Ridge, which was to be cleared by the 10th Irish Division. The advance on the crest of the main ridge went well, if slowly, and lower down the enemy were soon falling back as the Dorsets fought their way from gully to gully towards the foot of Kidney Hill. Here they halted to await clearance of the ridge above but the Munster Fusiliers, on their flank, were forced to withdraw precipitately. The Dorsets were short of water but the Battalion's pionéers brought supplies up from the beach and distributed bottles of water under heavy fire. However, with their flanks in the air the Dorsets were ordered to withdraw. In their first battles the inexperienced 5th Dorsets had performed well. Sadly, in the aftermath of this action, and half-way through the Gallipoli Campaign, George was killed in action on 17 August 1915. He was 29 years old. 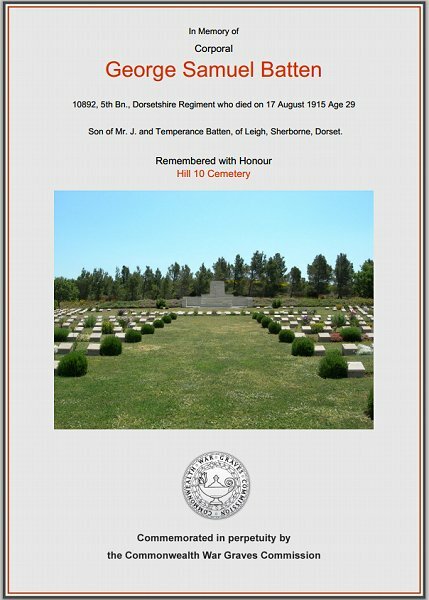 George was buried in Hill 10 Cemetery, Turkey, Grave II.B.4, but his name is not recorded on the War Memorial in the Borough. The Commonwealth War Graves Commission certificate in memory of George Batten.